This statistic shows the average purchase price of dwellings in the Netherlands from September 2016 to September 2018 (in euros). 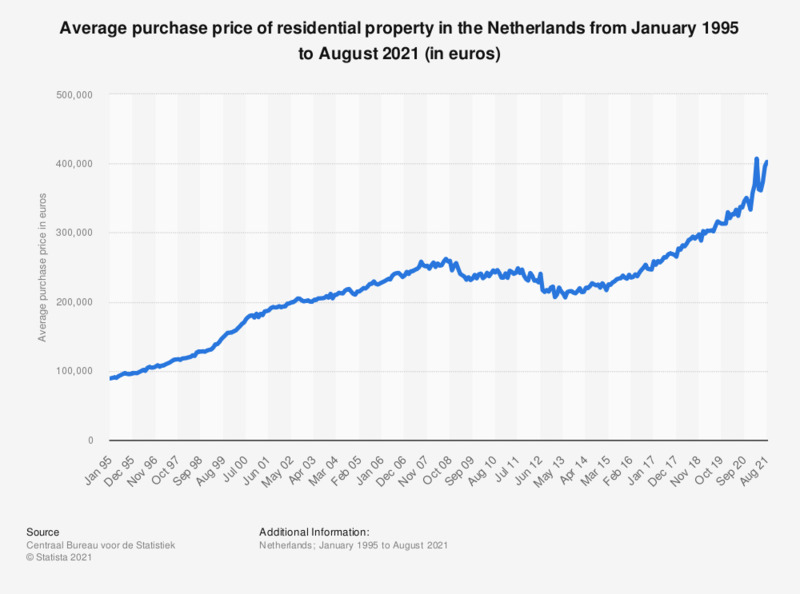 In September 2018, the average purchase price of a house in the Netherlands was approximately 291,000 euros. According to the source 'the average purchase price shows the mean value paid in the period under review for dwellings sold to a private person. These figures do not show the price development of existing own homes'.